In this guide we are going deep inside the world of private blog networks. Starting from the absolute basics, we’ll be guiding you through how to setup, manage, and use a PBN in 2017. With over 9,000 words of step-by-step training, even intermediate to advanced SEOs will learn something new. 1 What is a PBN? 2 Is it against Google’s guidelines? 8 Download the “30 Footprint Free PBN Hosts” PDF. A money website is the website you intend on ranking i.e. the one that actually makes money. This can also refer to a clients website. Is it against Google’s guidelines? The only time Google are going to tell you exactly how to rank is when they are advising you to use AdWords. But for ranking within the organic results, they are the worst source for information. And I would do the exact same if I were in their position. Why tell you how to rank for free, when you make over $40 billion per year from ad revenue. If it didn’t work, I’m sure Google wouldn’t be attempting to target them and scare people away from the strategy. And yes, this was little more than a scare tactic, people are still building networks and ranking as easily as ever. Links are the most important ranking factor. It turns out that backlinks, even though there’s some noise and certainly a lot of spam, for the most part are still a really really big win in terms of quality of search results. That is a quote from Matt Cutts, when asked about excluding backlink relevancy from the algorithm. 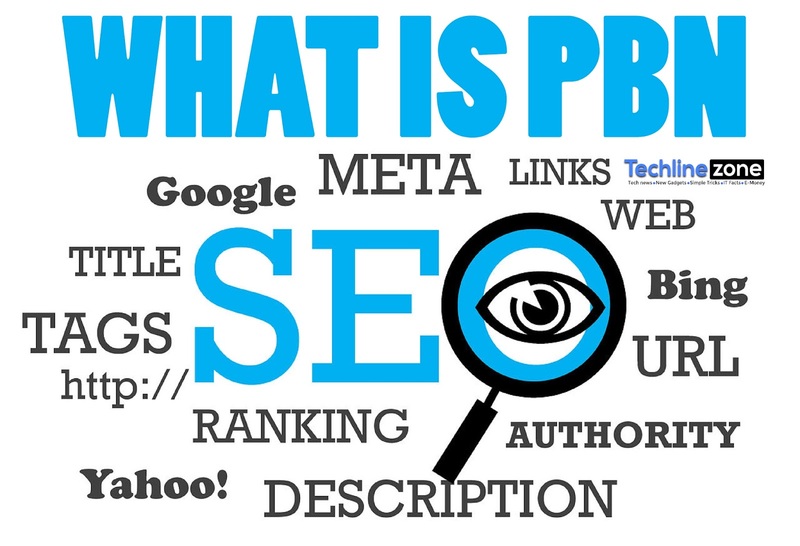 What makes this strategy effective is the websites that form a PBN are regarded by Google as authoritative. You are not receiving links from some brand new website, nor a spammy untrustworthy one, you are receiving links from a popular website Google’s algorithm loves. An initiative was launched in 2011 to help clean up the streets in Chicago. They had a website setup under cleanchicagostreets.com. The initiative received a lot of publicity, they were featured on their local governments website and local news websites. They raised enough publicity and money to follow through their plan. And they did, all within a year. Now their website is no longer needed, and has become a pointless cost to renew the hosting and domain. So they leave it to expire. Fast forward to today, an SEO finds this domain, can look up the metrics to see how trustworthy and authoritative it is regarded, then purchase it from any domain registrar to use for their PBN. That is in essence, how domains are found. There are 4 main metrics to use for measuring domains. You can use all of them at once, but often times 1 or 2 is enough. DA measures how authoritative the whole domain is, based on the links to it. PA measure how authoritative a single page on the website is, based on the links to it. This is also influenced by the DA of the website. TF measures the trustworthiness and authority of the websites links. CF measures how powerful the links to the website are. I have bought domains weaker than this on numerous occasions, but this is the general guideline I try to follow. Don’t worry about following it exactly. Referring Domains – A metric that shows the number of websites that link to the domain you are looking up. Anything above 30 is good enough here. Backlinks – This is the number of links the website has. If a single website links to the domain 3 times, then it’s 3 backlinks but only 1 referring domain. Make sure you check these before purchasing a domain. Anchor Text – This is the text people use when linking to the website. Look to see if they contain a brand name (which is normal), and avoid ones that are: heavily keyword targeted, have big brand names that are often associated with selling of fake goods, and other obvious things like viagra or adult themed. I highly recommend you have either a Majestic Silver account ($49.99/month paid quarterly) or Ahrefs Professional account ($79/month), but if you are only starting out, a free account on either of these services should be enough. Trust Flow is BS? Domain Authority is BS? These have been the trending comments in our community for a while now, but who do you believe? The only thing that matters is what Google thinks. Not Majestic, Moz, Ahrefs, or anyone else. From the moment Google announced they “have no plans to do further updates” to PageRank, there’s been no way of knowing exactly how Google measures a domains quality. That is where the above metrics come into play. They’re not perfect, but they’re third party algorithms for measuring domain quality, based on their theories of what Google finds important. Sometimes they’re inaccurate. Other times they’re a great analysis. The most important thing is that you manually check the backlinks. If the backlinks are from an automated link building tool, chinese anchor texts, thousands of blog comments, mostly directory listings, etc. Then it’s a bad domain. Do the metrics pass your requirements? (If no) Are any of the links from super authority domains? (If yes) Are the backlinks spam or low quality? (If no) Does the Wayback Machine show it was used for spam? (If no) Does Screenshots.com show it was used for spam? The Wayback Machine and Screenshots.com allow us to see exactly how the website used to look in the past, so we can verify if it was ever used for spam in the past. Knowing what to look for in domains is only part of the game, next you need to know where to find the domains. Before we cover that, you need to understand the types of domains to find. Expired Domain – A domain that fully dropped and is available to register from anyregistrar at standard domain registration costs. Expiring Domain – A domain that reached its expiration date but was held onto by the registrar for auctioning / selling. These domains retain their age i.e. if they previous owner registered it 5 years ago, it remains a domain registered for 5 years. There is no conclusive data as to which type of domain is better. Some people believe expiring domains provide more power, but many of those with this are biased by the fact that they’re selling expiring domains. All I can tell you for certain is that both types work. You are however much more likely to get an expiring domain with high metrics, than an expired, but you’ll also pay for that privilege too. Scraping domains is where you use an automated bot or series of tools to crawl links on old webpages that point to domains that are no longer registered (domain type: expired). For example, you could have a bot crawling the chicagotribune.com website and checking every website it links to. It soon finds an old article from 2011 that links to cleanchicagostreets.com, which is no longer registered as a domain. This would be logged for your record. You could then purchase the domain from any domain registrar. You can also purchase scraped domains from brokers. Brokers are the best of the best at scraping, they have fast, efficient automated tools to do it for them. You can do it manually and it works. But you are looking at 2 hours or more of work per domain you find, not to mention the additional waiting for the tools to finish (you can’t just work 4 hours and find 2 domains). Your financial situation will probably define which route is best for you, so we will cover how to do both. Here is a list of brokers websites you can buy from 1 at a time or in bulk. Please note that I have not used all of these brokers, but I have at least heard good things from others about all of them. The way this works is by using a tool which automatically checks the outbound links that a website has, to see if any websites it links to are offline. Then you can check if the domain is available to register and check its metrics. To increase the chances of finding a website that links to offline websites, we try to find old pages. An article from 2001 is more likely to do this than a page from 2014. There is a lot of manual work and time required for this, but it will work. Especially if you become a bit more inventive with your Google searches. Note: This is the OLD way of doing this fully manually. I highly recommend you read on and understand the process, but there are a variety of automated tools to speed this up now that we’ll cover next. Go to Google. Using ‘Search Tools’ select an old date period, I’d personally recommend testing out different ones at different times, so doing a search of 2000-2001, then 2001-2002, 2003-2003, this will give you a lot of different results. This could be a good one to check out. Take a note of the URL, and we can check it later. To check these domains, we are going to use a tool called Xenu Link Sleuth (download link), it’s completely free to download and use. You need a windows computer or VPS to run it. Maximum depth is the number of links to follow. Depth 1 will check all the links on the page you input. So if you input example.com and it links to example2.com, then that URL would be checked. Depth 2 takes this a step further and would extract the links from the example2.com page and check those also. So if you input example.com and it links to example2.com, then that URL would be checked, and if example2.com linked to example3.com, then example3.com would also be checked. The higher the depth you set, the longer this process will take, but the more domains you are likely to find. Once you have saved these settings, go to File -> Check URL, and the Xenu starting point window will popup. All you need to do is enter the URL we collected earlier, paste that in the top input box and make sure ‘Check external links’ is ticked. Then you click ‘OK’ and it will start running. This process can take hours, depending on the number of links. Once it has finished, go to File > Export to Tab separated file. Now you should be able to open it in Excel. From here you need to go to the ‘Status Code’ column and filter it by 12007, which means ‘no such host’, basically the website is not pointed at a server – so highly likely to be available for registration. Simply right click on the column name and click Filter, then set it to 12007. Now copy all the hosts that have the status code as 12007. We need to trim these down to just the domain, so we can run them in a domain availability tool. Paste the URLs into the box. Tick the box for “Trim URL’s to root”. Then hit ‘convert’. And they will give you the list of metrics. As you can see, all 7 below are pretty bad. This process does take a lot of manual work, the aim is to find 1 or 2 good domains from every run of this process. The better you become at the initial Google search, and picking out the websites to run in Xenu, the more domains you will find. Scraping used to be extremely manual, as you can see above. But the brokers that had lists with 100,000s of domains were not doing anything like this, they created automated tools to speed this up. These tools massively speed up the process above, but it is still time consuming. Before scraping was popular, most people would buy domains from auctions. These are expiring domains, they keep their age because the registrar is selling it off after they owner failed to renew it. You can usually find more powerful domains on auctions than from scraping because the dropped (expired) ones are picked up fast by your competition – if not already bought in the auction stages. The downside to auctions is that you pay extra to get first pick. The final strategy for purchasing domains is probably the most advanced, but it is the best domains you can get for the money they cost. A backordering service is a company you pay to catch a domain for you as soon as it drops from registration. We briefly covered earlier that when a domain expires it doesn’t really expire. It’s often kept onto by the registrar, sometimes auctioned or sold, and usually doesn’t drop for around 2 months. Scraping tools search for very old websites and attempt to buy domains that were missed by people backordering. But with the advent of scraping and selling domains as a business, and with our industry literally purchasing millions of dollars worth of domains per year, it’s very difficult to scrape very high quality domains today. With backordering however, you can request domains that have expired but not dropped yet through a backorder service. They’ll repeatedly check if the domain can be registered yet, if it can, they’ll attempt to register it for you. This part is called dropcatching. The success of this ultimately depends on the competition. If everyone is trying to get this domain, you may be out of luck. Also some services are better than others at it. To increase your chances, you can backorder with multiple services, depending on how badly you want the domain. If someone else backordered it with the same service, and that service catches it, it’ll go into auction between you and them – which can get pricey. Many of the above services will provide you with pending delete lists too, this is a list of domains that are about to drop that you can backorder. This strategy is listed for the advanced users, it is far from simple. You’ll also need some tools to help check the metrics of all the domains in the lists above to check for quality. If you want to get the best expired domains though, this is the way to do it. Private is the first word in PBN. You can’t hide from Google, you need them on your websites to see the links and pass on the power. But you do need to make sure there is no association between these websites. They need to look independently owned. When buying domains, this means mixing up your domain registrars and registration dates. Do not always buy from the same one. And do not have your name and information in the whois for every domain. I won’t cover the whois part for legal reasons, but you can discuss it in the Facebook mastermind group. Whois protection services are also a good option sometimes. Now that you have the domain(s) in your possession, you need to setup hosting so you can get your website(s) live. To avoid Google (or anyone else) knowing you own all the websites, you need to put each of them on different hosting accounts. If they were all hosted on the exact same server, it would be clear they are all associated with each other. This need for separating hosting providers sparked the popularity of SEO hosting services. The problem with “SEO hosts” though, is that most of them have footprints which show they are all the same provider. You can read about hosting footprints here. The best thing you can do then is to hide in plain sight. You do that by using popular hosts that real websites would use. Yes, most of these are expensive in comparison to SEO hosts or cheap shared hosts, but it’s worth it for the reduced risk of losing your network. CloudFlare and Incapsula though are completely free to use for a small portion of your network, click the links above for more detail on them. But again, that’s only a small portion. There is a cost associated with setting this all up, and it can be scary for beginners, but the overall ROI from ranking top with multiple sites should easily justify it. Later in the guide we’ll cover an advanced strategy named clustering. This will allow you to host multiple PBN sites on the same hosting account with zero risk – but only if your hosting plan allows it. So make sure the packages you purchase allow multiple domains and MySQL databases. For now, just know that the safest way is to only host 1 website per host, and to use high quality hosts. You have a domain and hosting, now you need to setup the website. Don’t worry about being a HTML whizz, we are simply going to use WordPress and free WordPress themes. Next you need to choose the protocol, which will be ‘http://www.’ in 90% of cases, and also set the ‘In Directory’ field to blank. The reason there is a difference is, most websites were setup with either one or the other, which is what will receive most of the links – therefore have higher metrics. That’s about all there is to it, then you simply scroll down and click the ‘Install’ button. Building websites and installing WordPress has never been easier. Before you do that though, you need to know what the website will be about. That is called Theming. Many people starting out ask whether to re-theme a domain or not. This is where you take a domain that was previously about one topic, then change it to be about another. Site re-theming is a perfectly normal thing to do, and seems to be unaffected throughout Google’s many shots at PBN users so far. Domains are re-registered all of the time, and tons of brands have random names… maybe LionZeal.com used to be a blog about Lions. It is where you register a domain that used to be about one topic, then change it to a topic more relevant to your money sites. If you are willing to put a little extra work in, you can step this up a level. Take for example, you register the domain ‘thecatowner.com’. It used to be about cats, but you need a blog relevant to travel. Easy. For maximum relevance for the domain and your money site/client, you could create a blog about travelling with a cat. You can also keep the links relevant. If you were linking to a hotel client, write an article about finding a cat friendly hotel. LaptopBagsNow.com – used to be a site selling laptop bags, you need it on style and fashion. Make it a blog on style and fashion that used to be just a laptop bag style review site, explain this in the about page. You could even “sticky” a post on ‘Laptop Bag Styles for Women’ and another ‘Laptop Bag Styles for Men’. SocksAndUnderwear.com – used to sell socks and underwear, you need it on entertainment. Make it a blog on keeping entertained in your socks and underwear aka at home on your own via the internet, TV, etc. This is the most common way of theming a site. The downside is you’re locking it down to one niche, so it becomes difficult to link to others. Cityscaping: The act of building a website around a real city with semi-fictional content. Featured Business of the Month – If your niche is weight loss your featured business of the month might be “Lake View Fitness Center”. The Article could be “5 tips on losing that holiday weight” with your link strategically placed in there. If the domain you purchased is relevant to your money sites, then perfect, just keep the same niche. But even if it wasn’t, you can still follow this option. Start by figuring out the niche of the domain. You can often guess the old niche based on the domain, but there are two other ways of finding it very easily. The first is the Wayback Machine, a website/tool that saves regular copies of websites, allowing you to “jump back in time” to see what a website used to look like. You can then look back in time and select any date that comes up, for this example I just picked Jan 1st 2014. You will now be shown what the website used to look like on that date. Some times there are issues loading it completely, maybe some images are missing, or the style is messed up, but it shows you exactly what the website used to be about. This tries to figure out the topic or niche of the website, based on the websites that link to it. In this example, we can see it is fairly accurate for the website goodreads.com, with the top 2 topics being libraries and literature. You can see that it has links from Amazon, which is relevant, and it even shows the anchor text used to link to the website “goodreads book reviews & recommendations”. Very easy to see what this website is about. Most of the time it will be quite easy to figure out, if the top links are from travel blogs, it’s most likely a travel relevant site, etc. The 4th option is completely different to traditional PBNs, but why it works so well. This is an easy way to fly under the radar of what most people think of as a PBN site. What you do is set it up to look like a real local business. Do everything a real local business would do. Then you just “sneak” the links in later from your homepage. Relatively easy to do if you have 500-2,000 words on your homepage. The downside of this approach is the PBN sites niche needs to be fairly relevant to your money site, since you won’t be able to create a new 500+ word post dedicated to the topic. There are a LOT of free themes available for WP, they’ll be more than sufficient. The only important thing for this is that they show the full posts on the homepage, not an excerpt. With the exception of the local business site type, since they won’t be showing blog posts on the homepage. We need the full length post to show on the homepage, so our money site links also display on the homepage. This is most often the most powerful page on the website. Make sure you’re constantly using different themes for each of the websites. Using the same one is another clear footprint that the websites are probably owned by the same person. It’s recommended that you install a few different plugins on your website just to make it seem natural. Again, make sure these are not the exact same ones every time. Part of retaining the linkjuice on the website is by capturing any linkjuice sent to old pages from the previous website. So if the domain you purchased used to have a page like “example.com/cat-food.html”, and that page has links pointing to it, then you can rebuild it to capture the power of those links. The safest way of doing this is to manually replace or redirect the pages from the old website. At this point you can either re-create the pages, or use a plugin such as Simple 301 Redirects to manually redirect the page to a similar topic page. For rebuilding the pages, you can either manually write the content as a “Page” in WordPress, or even directly copy it from the WayBackMachine (as mentioned earlier). If the URL is “/something/” then use that as the permalink, but if it’s something you can’t normally create with WordPress, such as a “.html” file, then you can use the Custom Permalinks plugin to let you create that. It’s advised that you turn off notifications to websites you link to, this will only annoy you or your clients with the notifications. This is where most people get lazy and make big mistakes. The initial content you add will make a huge difference to how legit your website looks and how likely it is to pass manual reviews in the future. I personally recommend you have a minimum of 2-3 pages and 2-3 posts. The more the better. This process is called PBN Padding, you are effectively adding content to the website to hide the fact that it’s only setup for link building. The first step to creating the content is deciding on an author persona. Who is behind this blog? This gives you consistency in the writing style on a single blog, but mixes them up across all the blogs. One blog may be written by a backpacker sharing their experiences and travels, another by an association sharing industry news and best practices. You’ll want to introduce these authors on some type of about page, share their photograph, and tell their story of why they started this blog. Basically what anyone would do if this was a legit site. Pages soliciting personal information, such as personal identification numbers, bank account numbers, driver’s license numbers, etc., which could be used for identify theft. Pages offering medical or health information that could impact your physical well being. If you have a blog about parenting, or finances for example, make sure you do NOT pretend to be an expert. Otherwise they will start judging your websites credibility, if it has a real address and contact information, if it’s a real author, how reputable the site is, etc. Kim Jones is a ‘stay at home’ mom of two, Alex & Jessica, living in North Carolina. She loves kids, and created this blog to share her personal experiences with taking care of kids, to hopefully help some newer mom’s that may be struggling. With this example, Kim isn’t pretending to be highly qualified, an expert at teaching kids, or any of that. She is just a mom sharing what she learnt from bringing up her kids. In the past, the method was to quickly write 300 words, include an image, and you’re done. Having that mix of videos, image galleries, and infographics make it much more visually appealing. Plus they make it even easier to write content, all you need to do is recap an infographic or add your own thoughts to it, much easier than researching and writing a whole new article. Rather than “about” it could be.. About us, About this website, About [sitename], What is this, Who are we. As we’re already breaking rules, here’s an unethical (and illegal?) method people are using to get free content for their sites. Use this at your own discretion. Remember the Wayback Machine we referenced earlier? It’s a great way for determining what the website used to be about. Well, as well as doing this, you can also completely copy the contents of the previous website [of your domain]. You can do this by completely copying the website, which can be outsourced for a measly $5. Or you can simply copy and paste the content into your blog. Even with the addition of content, your blog will look very “default”. You need to make it look like a real website someone setup to use. You can read how to do all of these step-by-step, in this PBN structuring post. Recap – A money website is the website you intend on ranking i.e. the one that actually makes money. This can also refer to a clients website. When linking to your money site, you do so within a brand new blog post. This should ideally be at least 500 words and be relevant to the money site. How you determine the content to use for these posts, will be decided by how you themed the website. If your PBN site is about the same topic as your money site, it is easy… write another post about that topic. If you followed the cityscaping guide, then you can create a new post like ‘Featured Business Of The Month’. But if you decided to keep the site in the same niche as it was previously in, and that is different from the niche of your money site, you need to do something called “Niche Matching”. This is matching the niches. Try and find some type of commonality between the two niches and write an article about that. Once you have an idea of what content will be used for the linking, you need to decide how many links you will build, and the anchor text to use. I recommend doing 1 or 2 links to your money site from a single post. There will only be a single post for each money site. Meaning from a single PBN site you only link to a single money site 1 or 2 times. The anchor text is the text you use to link to your money site. This is a very important ranking factor. The general rule is to use a different anchor text every time you link to your money site, never repeat them unless using the brand name. You also want to use the keywords, variations of the keywords, and synonyms of the keywords, that you want to rank for, in the anchor texts. Each of these would only be used once. What you are doing here is creating a natural linking pattern, not always using the same anchor text. But while being natural, you are still highly relevant to the keywords you are trying to rank for. An exact match domain (EMD) is where your domain exactly matches the keyword you are trying to rank for. If you were trying to rank for ‘weight loss’ as an example, your domain could be weightloss.com, or weightloss.net. If you are trying to rank for a keyword with two words or more, and two words or more of that keyword are also in your domain, then you need to be extra careful to avoid over-optimisation. Let’s make up two theoretical examples to explain what to do for each. Both sites will be trying to rank for the keyword ‘weight loss’. This domain already includes the words weight loss, we need to be extra careful not to over-optimise. We can’t use the site name “Best Weight Loss” or the domain “BestWeightLoss.com” multiple times in the anchor text because they both include the keyword. As before, use a different anchor text every time. Save the exact “weight loss” anchor text until last, this will give you a final push in your ranking, but it also provides you security from over-optimisation when you have a small number of links. You’ll still need branded anchor texts, longtail / topical relevant, etc. But you can start more aggressively without the same risk as over-optimising which you would have with an EMD. When linking to your money site, you should link to the page that you intend on ranking since you want the “juice” or “power” from the link going directly to that page with the relevant anchor text. As you can include 2 links though, which I do most of the time, you can also include a link to another page on your money site. Usually this would be the homepage, since the homepage naturally tends to get more links than any other page. If you are trying to rank the homepage though, or after every few links to the homepage – to mix things up, you should link to any other page on the site. Having other powerful pages on your money site will boost the authority of the whole website, making other pages rank better. And we had 10 PBN sites in total to build links from, meaning a maximum of 20 links to our site. With a solid foundation of links on top of this i.e. social profiles, which we will cover in a later guide, your homepage will have more links than any other page – which generally appears more natural. The most common strategy which you will use the most. Makes sense for mixing things up every so often. After this, all you need to do is figure out how to include it in the most natural appearing way possible. This can be really difficult if you are targeting say local keywords. You have to learn to just roll with it here, even if it doesn’t sound that great. Here is an example of targeting a local keyword ‘dog trainers in texas”. There is many important factors that go into properly training a dog. As the owner of a not-so-well trained dog, I’m probably not the best person to teach you. So I won’t. Instead, I’ve asked a friend of mine, and one of the top dog trainers in texas to go through it with you. Now when you link this image, same as you do for text links, the alt tag will be treated as the anchor text. This is completely invisible to readers, so no issues with out of place anchor texts. How many different money sites can I link to? 8 is about the max. You want all of the links to be on the homepage. Most people link to the homepage of a website, so it is where all the link juice and power is, which we will be passing on to our money sites. The limit of posts on the homepage is 10. After that, they go onto a second page. If you do not use sticky posts at all, you can link to 10 different money sites, but it’s not advised that every single one of the 10 posts has a link in it, since that’s not natural behaviour for a blog. Earlier in this guide, we covered hosting and I briefly mentioned that you could host multiple websites on a single hosting plan with zero risk. This is done with clustering. 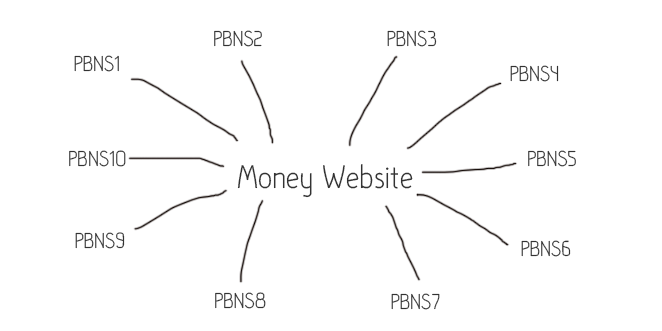 PBNS stands for “Private Blog Network Site”. Here is a quick example of clustering. Usually people do it around niches their PBN sites are in. This allows you to get niche relevant backlinks, but there is a flaw..
Once again, the risk here is that if a single money site or PBN site is infiltrated, they may be able to pull apart your whole network. You can link to as many sites as you like in a single cluster, and you can have as many PBN sites in a single cluster as you like, but this gives you a security pre-caution of not potentially losing your entire network at once. It also saves you a small fortune. It also allows you to host PBN sites from different clusters on the same hosting account, as they will never link to the same websites. To put this into perspective, if your average hosting bill is $8 per blog for reputable hosts, but you own 10 different clusters, that brings your bill down to only $0.8 per blog. If you are just starting out, now is the perfect time to learn about network clusters. Once your network is big enough to rank the money site(s) you are currently working on, you can separate that as one cluster and start building the next. Remember you can rank up to 8 money sites off of a single PBN site, therefore off of a single cluster, it’s just about eliminating your risk as much as possible. If you work with high end clients, you can even go as far as creating separate clusters for each individual client. Same goes for if you have affiliate sites that make 4 figures plus per month. Also a cluster does not need to be niche relevant, that’s just convenient. You can mix this in with any of the site theming methods covered above. A private blog network does not mean private to Google. We need Google on our sites to see the links we create. Instead, the idea of a private network is that it is private to the rest of the world, especially your competition. The padding and structuring parts of this guide will go a long way with masking your strategy to your competitors, but blocking bots takes this to a whole new level. But with bot blocking, you can completely hide your PBN sites from showing up in these tools. That means your competitors would have no idea how you are ranking, and never see your PBN sites. There are two approaches to blocking bots from your website. I’ve had my own in-house plugin developed for my private blog network sites, this is an upgrade from traditional bot blocking. It basically removes all the links on the page for all visitors aside from Google, Yahoo, and Bing bots. You can learn more and get the plugin (for free) at www.ghostpbn.com. The alternative is to simply add this code to your .htaccess file. If there is more than one domain on this cPanel account, make sure the correct domain is showing in the dropdown box (I removed it in this screenshot). Tick ‘Show Hidden Files’. Click Go. Locate the ‘.htaccess’ file, right click and then ‘Edit’. Click Edit again to open the editor. If Google wanted to, they could still check this. All they would have to do is impersonate the user agent of the bots you block [to see if they are blocked]. I wouldn’t put it past them. This would only be an indicator after checking other footprints, I doubt they impersonate bots and crawl the entire web to find sites that don’t work. If you are purely targeting local or other non-competitive keywords (aka little SEO competition), you may even want to allow bots. For affiliate SEO’s competing on things like ClickBank products – that isn’t an option for you. If you have not realised already, there is a heck of a lot of work involved with building a private blog network. It is however, a long term investment in your business. One of the big differences from the newbies with less than 50 sites, and the experts with hundreds or even thousands, is the use of tools and systems to leverage their time better. For renting links, I highly recommend my friends at Diggity Links. I’ve personally used them, and they’re very clued into the best strategies for building networks. As for outsourcing the building of your network, check the Lion Zeal Marketplace group, there is multiple sellers offering this service. Be sure to check the quality matches up to this guide. Well that’s about all I’ve got for you in this guide. If you enjoyed it and would like more posts like this in the future, leave a comment and let me know, I try to respond to them all. When you register to the service, we give you a temporary email address, use this temporary email when registering to untrusted web sites. This way the site will send spam to your temporary email address, while your real address stays safe. dengan adanya fasilitas ke lima bank tersebut member maindomino99 dapat bertransaksi dengan mudah nya. apalage untuk deposit dan withdraw hanya diperlukan Rp.15.000 saja untuk bertransaksi. Untung jika kita menampilkan nya bersama aman Agen pelangiqqasia dan tak gunakan emosi bila kembali main-main guys.